Diego León of Dandy In the Bronx is our next featured rebel. Reading about Diego’s journey on becoming a menswear blogger was inspirational. He started out as a Pre School teacher and would dress well to ensure his students felt comfortable in their uniforms. After seeing the positive impact dressing had made on his students as well as his daily life, he uncovered his new passion – menswear. After researching countless blogs, and social channels like Instagram and Tumblr he decided he wanted to make an overall impact on the future of menswear. 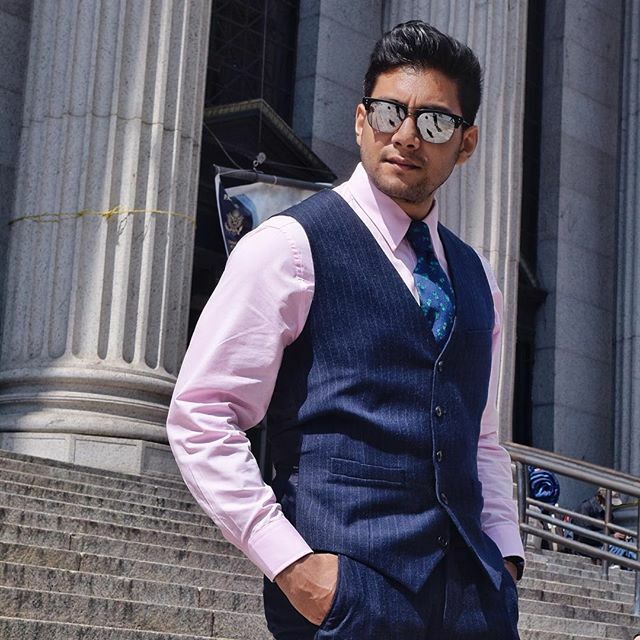 He called his blog Dandy in the Bronx, as a Dandy mirrors the same principles he was hoping to portray in his blog -a man devoted to style, neatness, and fashion in dress and appearance. However fashion wasn’t the only angle he was looking to conquer in this career change. Being born and raised in the Bronx, he found it important to hero to others to bring their successes and talents back home, to the place it all started. He wanted to focus on leaving behind the old mentality and stigma, which was express yourself creatively, make it and bring it back home. Diego specializes in supporting businesses and causes in his hometown. Name something you can’t live without: I need my phone! It allows me to connect to world and meet new people. I’m able to work from anywhere and I’m able to capture moments to share. I probably won’t be talk to you right now without it! in what ways does James Dean resonate with you: Dean usually played these outsiders that came from an other town and has issues, maybe family, and is just searching to fit in. After so many years, these feelings still hold true as young people are still trying to figure out their place in this world. How are you living like a rebel? Leaving my 9-5 to peruse blogging full time has been my rebel moment. It’s all about taking control of your life and calling yourself the boss!